We are TRAVELlers that GO ON ADVENTURES ANY CHANCE WE GET. Bitten Escapes describes our adventures as we escapade around the world. From travel guides and helpful tips to beautiful pictures, Bitten Escapes documents a curiosity to learn more about what the world has to offer. We tend to look for new experiences, so most of what we post is from our perspective of trying something different. We believe that travelling doesn't always mean going far distances, rather, it's more of a new experience in a different place. With that in mind, we hope to inspire you to start your own adventures! Hello! I'm Cathy. As a Communications professional, I started the blog because of my love for writing and adventure travel. Throughout the past few years, I've had the opportunity to grow on our trips by consistently pushing myself out of my boundaries. Because of this, I want others to try it too. So, I started Bitten Escapes to show you how we adventure and that you can do it too. Interests: Rock climbing, succulents and board games. This is Cee. 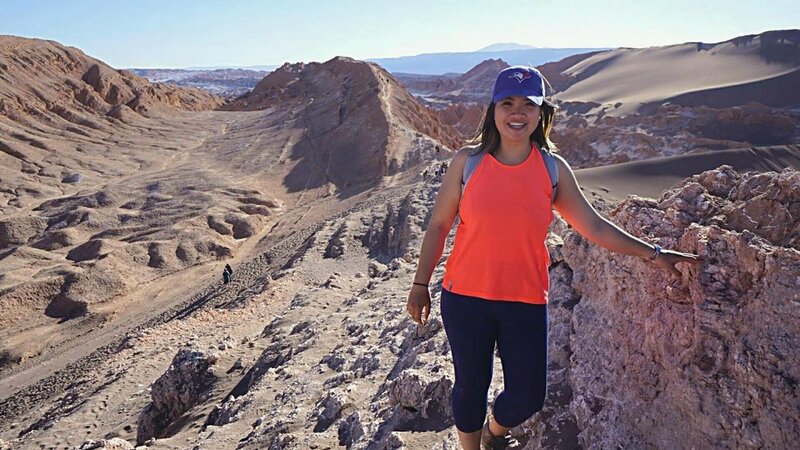 She's passionate about adventure travel and down to explore at a moment's notice. With her canine companion, you can probably find her on a trail with her camera ready to go. Interests: Mountains, puppies and the Blue Jays. If you have any inquiries, we would love to hear from you. Please email us at bittenescapes[at]gmail.com.